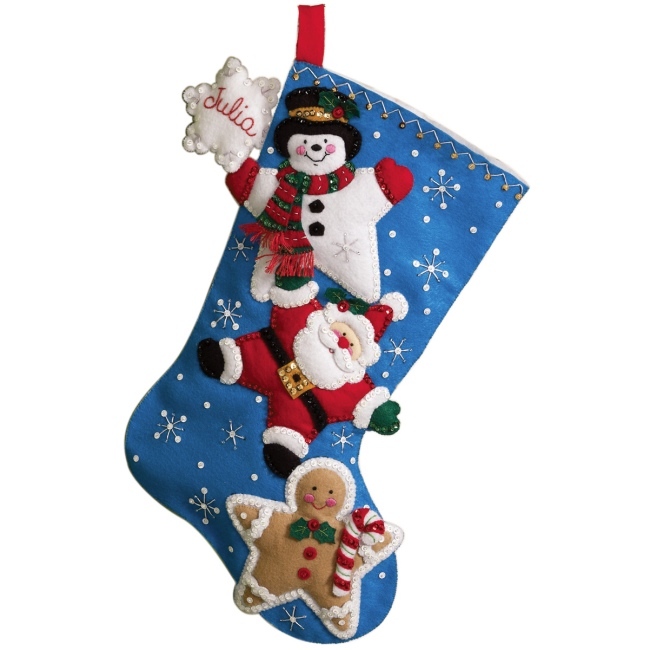 Felt Christmas Stockings - Handmade Holiday Fun! We're adding to our selection of Felt Christmas Stocking Kits with three new creative stocking designs from Bucilla. 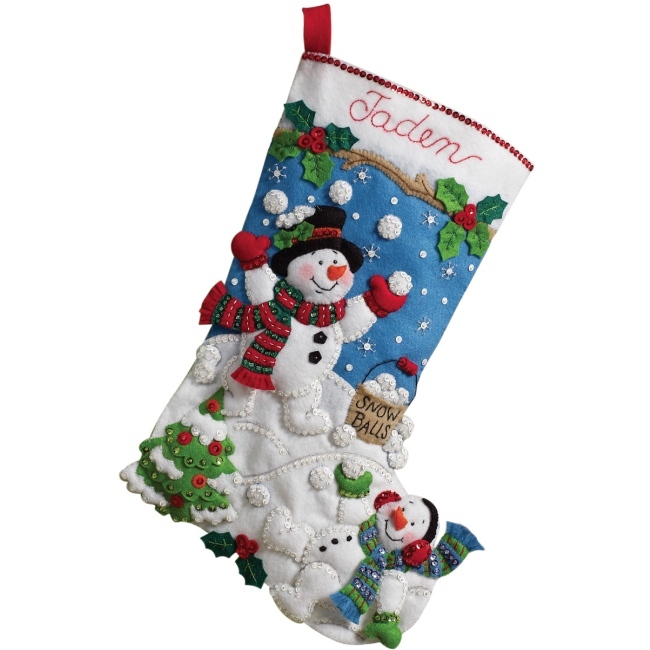 The common theme for Christmas 2012 is action-filled holiday fun, with the Snowman Games, Dropping In & Christmas Stars felt stocking kits. 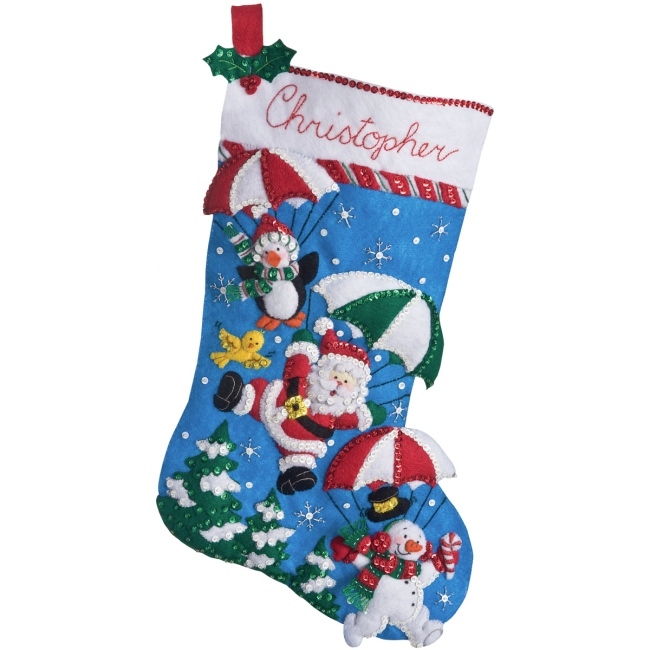 Surprise a child this year with a beautiful handmade felt Christmas stockings – personalized just for them! You'll find these kits along with our complete collection in the Christmas Stocking Kits section. Bucilla Felt Stocking Kits include stamped felts, cotton floss, sequins & beads, needles, and step-by-step instructions. You'll need some basic craft supplies on hand to complete your felt stocking project, including precision-cut scissors for cutting out the applique shapes and polyester fiberfill for adding dimension. If you're new to making felt applique stockings, you may find this previous post helpful – Felt Christmas Stocking Kits - Handmade Keepsakes. It includes best practices, hints, and tips from my experiences making Bucilla felt stockings for my daughters. Visit the Christmas Craft Kits section for details on our new felt stocking kits and to see our complete selection of creative holiday craft kits, including ornament kits, tree skirt kits, quilt kits & more! Weekend Kits offers a unique collection of Creative Art & Craft Kits for adults, teens, and kids. Our goal is to help make crafting easy & fun for beginners & all skill levels. Stop by today and be ready to start crafting for the holidays on your next Weekend at Home!